LFF1SMARTgebruikt	| Write the first review! 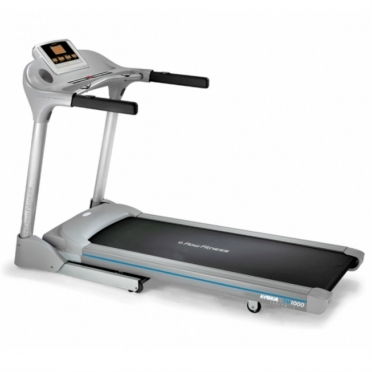 The Life Fitness Treadmill F1 Smart (used model) brings the joy of exercising to every home. 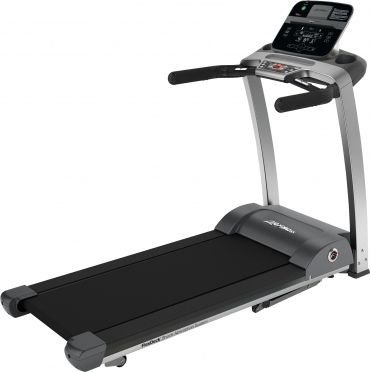 It combines innovations like an ultra efficient Energy Saver button, exclusive access and compatibility with the Life Fitness Virtual Trainer website, iPod compatibility and charging with the hallmark durability of Life Fitness treadmills the FlexDeck Shock Absorption System. Reliability experts tested this model by simulating over five million footfalls. It's so sturdy that you'll be amazed it folds! Your discount €900,-	(21% VAT included)	New! On stock! 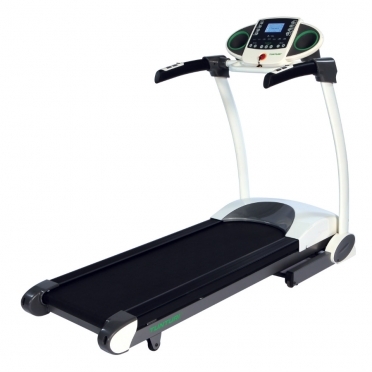 A portable and small treadmill for any space. The folding F1 doesn’t sacrifice quality. 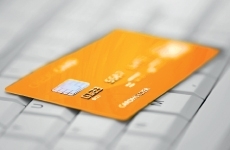 It is outfitted with everything that makes Life Fitness treadmills the No. 1 choice worldwide. 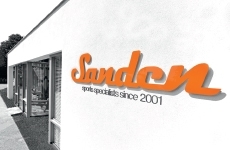 High-quality components ensure that your home fitness equipment endures years of heavy use. The F1 folds, locks into place and can be easily rolled to a convenient storage area. 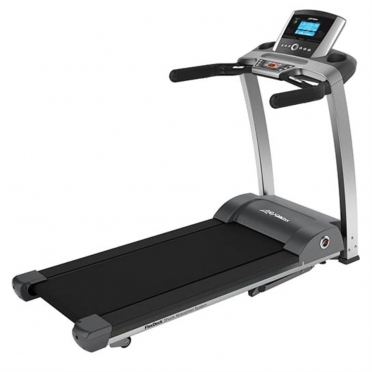 Furthermore, the F1 treadmill is equiped with a reading holder and racks for drinks so that you do not have to renounce comfort while exercising. 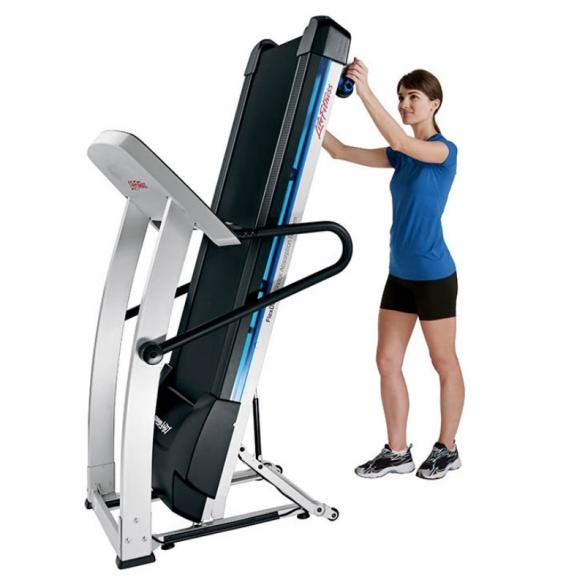 After workout, the F1 can be folded by an easy mechanism and does need only very little space in your fitness room. Contact heart rate hand sensors and wireless telemetry heart rate monitoring system. 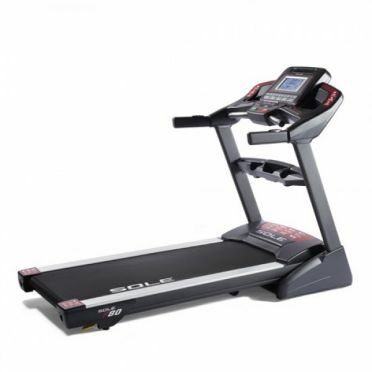 Remembers your preferred walk, jog and run speeds, as well as three different incline positions. 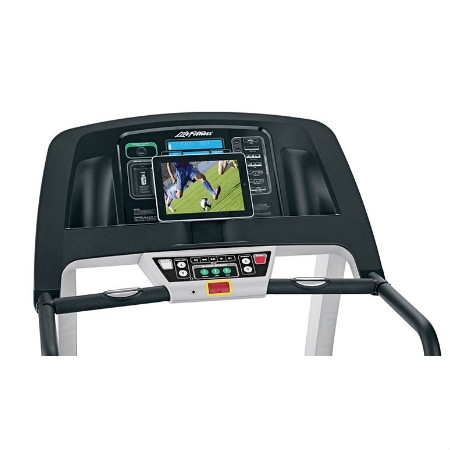 Either leisure sportsman or ambitious runner: the Life Fitness treadmill F3 Track Connect is an ideal training equipment. The sturdy construction with a durable steel frame resists weight loads of up to 159 kg. 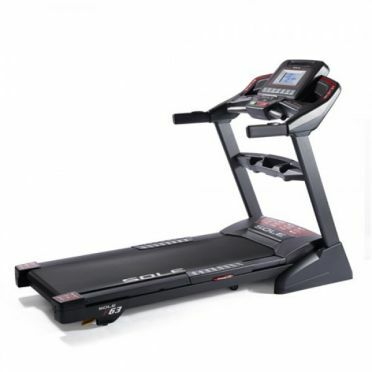 Furthermore, the Life Fitness treadmill F3 Track Connect is equipped with a strong 3 HP motor offering speeds up to 16 km/h. 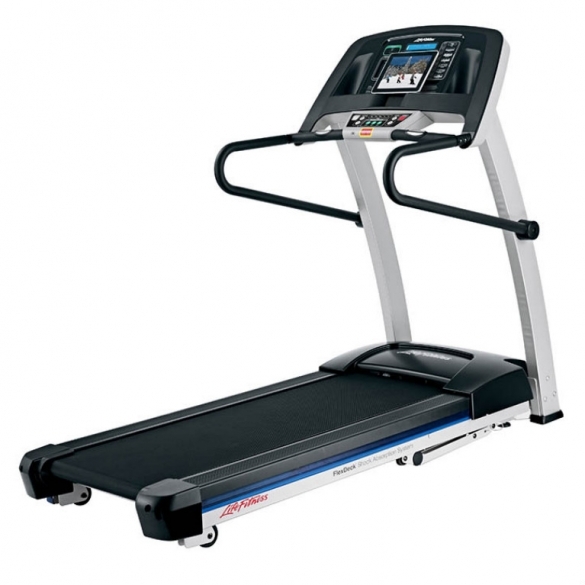 Incline is variable as well: the incline up to 12% simulates excellently ascents on the Life Fitness F3 treadmill.